A scientist who developed a matter transporter suffers a terrible side effect when he tests the invention on himself. Movies have always loved to warn audiences of the dangers of striving for scientific advancement. 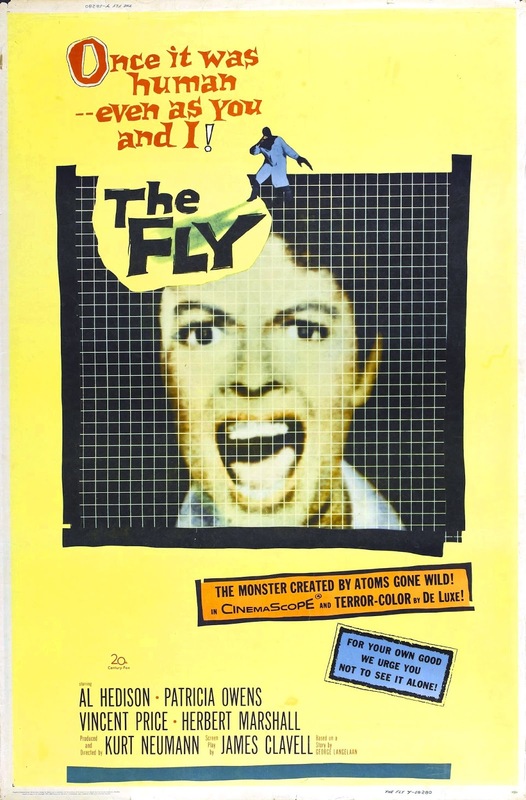 "The Fly" is one such film. It starts out as sort of a murder mystery where Helene Delambre, played by Patricia Owens, is being investigated for crushing her husband's head in an industrial press. She admits to doing it, but the only question the police have is why. This is what we find out as Helene tells the story of the weeks leading up to her husband's death, about the experiment he was working on, and how it all horribly went wrong. Joining Patricia Owens are David Hedison, who plays her husband Andre, Vincent Price, who plays her brother-in-law François, and Herbert Marshall, who plays Inspector Charas, the man investigating Andre's death. Like many old-school horror films, "The Fly" is a slow-burning drama that is meant to have a shocking climax. It isn't so much what happened, but the visual of finally seeing the results as post-accident the character of Andre spends most the film with a towel over his head. It's clear what happened to him since we can see his hand multiple times, which is included in all its grotesqueness for a little shock value before the big final reveal of his head. There is also a lot of talk about a white-headed fly which plays into the final iconic moments of this film that have been homaged and parodied by many in the decades that followed. "The Fly" isn't steeped in tension, but it is an intriguing tale showcasing an example of Icarus flying too high and getting burned. In an attempt to change the world, Andre found only his own destruction. There is quite a bit of tragedy to "The Fly" and you really feel for the characters, especially Helene, who has to deal with the moral implications of her actions. In the end, though a little slow at times and quite dated, it still is an interesting story with epic acting.